The O ring Loaded Lip Seal (OL) is a molded seal with medium unit loading that offers good wear and contamination resistance. It is available in many elastomer (rubber) compounds. Operating conditions and maximum extrusion gap are dependent on type of material used. See the OL datasheet for more information. 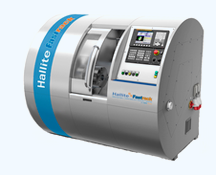 For further information contact your local Hallite sales office.